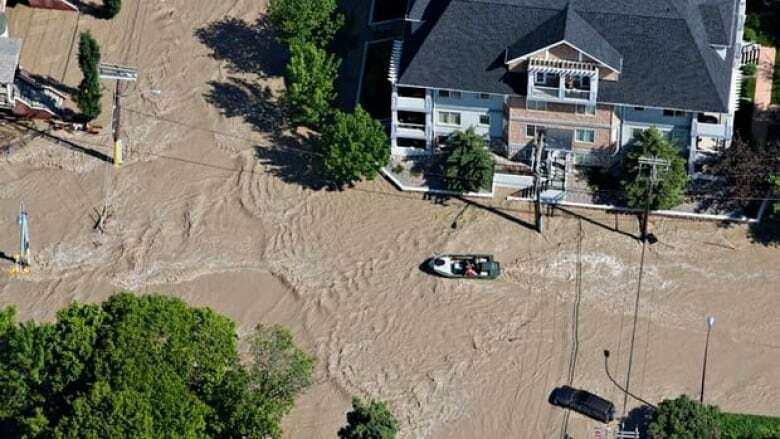 One year before flooding devastated Calgary, officials were given a study that warned the next big flood to hit the city would bring higher water levels and more widespread damage than was previously thought, CBC News has learned. The analysis of the Bow and Elbow rivers began in 2009 and finished in April 2012. In the days after the June flooding, Diana McQueen, then Alberta's environment minister, said nobody could have foreseen it. 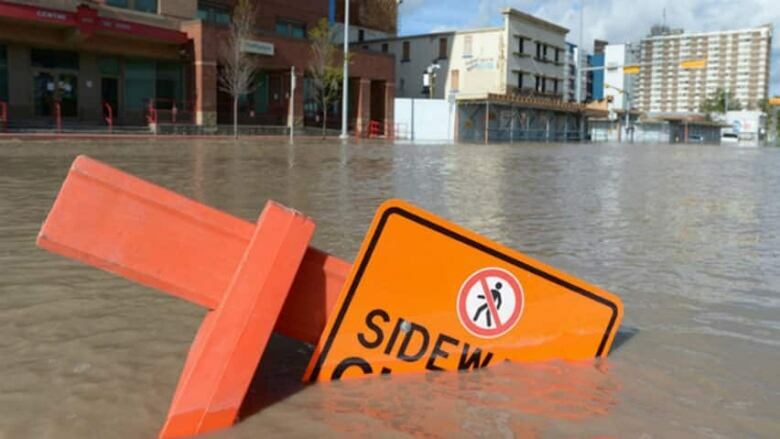 "What Alberta experienced in this past week is unprecedented, more rain, more quickly over a larger area than has ever been seen in this province," she said at the time. "No report or recommendation looking at the lessons of the past could have prepared us for this event." But the previous spring, city and provincial officials were presented with a study by consultants at Golder Associates Ltd. that mapped out what a 1-in-100-year flood would look like. That study flagged the Bonnybrook Wastewater Treatment plant and several communities as being at risk — correctly, it turned out. 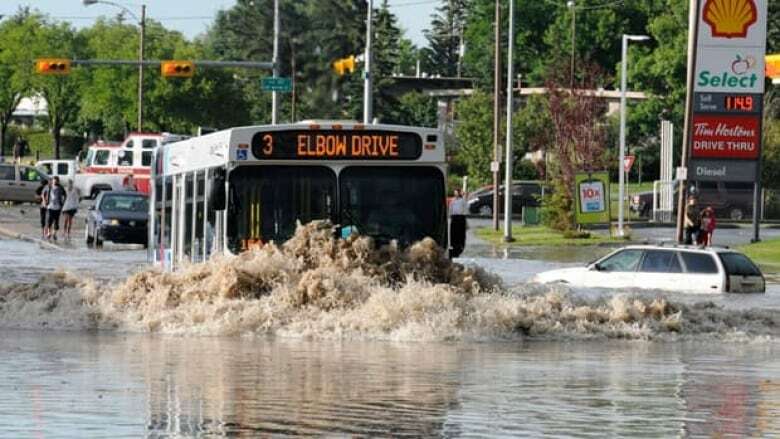 John Pomeroy, Canada's Research Chair in Water Resources and Climate Change at the University of Saskatchewan, said the report was a comprehensive update on previous studies, recalculating flood probabilities based on population growth along the floodplain. "The increase in the area inundated was quite striking. The Centre Street area downtown, of course, and the area around 14th Street, the Bowness area, also as soon as you start to involve sewage treatment plants in the 1-in-100-year floodplain, that's a big concern,” Pomeroy said. City officials say they used the study for emergency planning, so that when a flood hit they would know which areas to prioritize for evacuations and bridge closures. "We were still working through how to use this report for future policy, but what we did do was incorporate it immediately into emergency response," said Mayor Naheed Nenshi. "We were comparing that with other experts' reports, so they weren't quite ready yet. But I think the city did the right thing in relying on the best information we had for emergency response, which was those maps." The study wasn’t widely distributed because it was too technical for the general public, officials said. However, the city pulled some of the data from the study, simplified it, and included it on a flood-risk web page, senior planning engineer Frank Frigo said. A spokesperson at the environment ministry said the province was still discussing the study with the city when the June disaster struck. Calgary-Shaw Wildrose MLA Jeff Wilson said his heart sank a little when he read the report. "It felt rather bizarre reading it, almost like it was a road map for what we saw happen in the city this spring. It was almost eerie,” he said. Chris Rosamund, who manages Wurst, a restaurant on Fourth Street southwest that was inundated by the floodwaters, said the outcome could have been different. "It's unfortunate, hindsight being 20/20, that measures weren't starting to be taken when that study came in. But you know, no one could've predicted …. what was going to happen." ON MOBILE? View report here.